Rotax Mini-Max, Vortex Mini ROk, Mini60, KFJ, KZ Shifter, Rotax Jr.
Eastern Canada Karting Championship, ASN Canadian Nationals, Florida Winter Tour, SuperKarts USA, Italian Championship, ROK Cup, WSK, CIKFIA Championship. American KZ Shifter Champion, Canadian KZ Shifter Champion. To be the best in every form of motorsport he competes in, and someday to compete in Formula 1. American KZ Shifter Champion, Canadian KZ Shifter Champion. First year in KZ Shifter. ROK Cup Final Lonato, top contender. CIK FIA World Championship KZ2. European CIK FIA Championship KZ2. SKUSA supernationals Las Vegas, top contender. Canadian Karting Championship-Vice Champion. Antonio was recognized as one of the worlds top junior drivers and signed as an official CRG factory driver in 2016. Florida Winter Tour - Vice Champion. Margutti Cup-Champion. WSK FInal Cup Vice-Champion. Most Pole Positions in WSK. Antonio has been ranked as the No. 2 Junior drivers in the world. 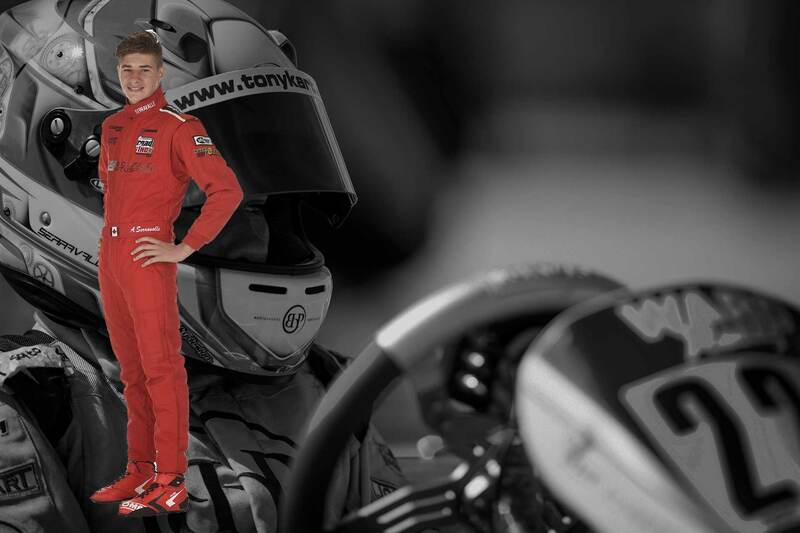 * Won an invite to compete at the Rotax Micro/Mini-Max invitational at the Rotax Max World Finals in 2013. Canadian Karting Championship - Champion. Florida Winter Tour 3rd Micro-Max Championship, 3rd at Trofeo Cup in Mini 60 in Sarno Italy, 1st at Italian Championship in Mini 60 in Siena Italy, Pole Position and 2nd Place Finish at Skusa Supernationals in TaG Cadet. *Youngest Canadian to win a major race in Europe. * Youngest ever to win ECKC and National titles in the same year.